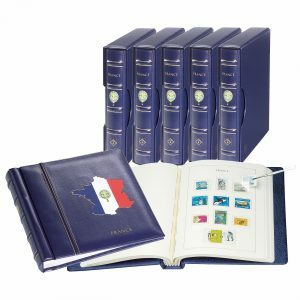 Leuchtturm stamp and coin albums for collectors guarantee the optimal protection to maintain the value and elegance of your collection. Leuchtturm is a German manufacturer of collector albums & supplies since 1917. This year (2017) Leuchtturm celebrate its 100th birthday! 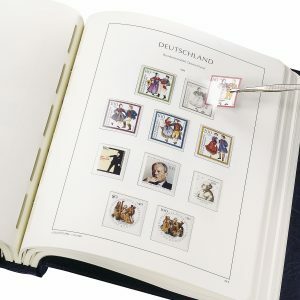 Leuchtturm is a market leader in high quality albums for stamp and coin collectors. Leuchtturm pre-printed (illustrated) country albums are the safest and most rewarding way to store your stamps. 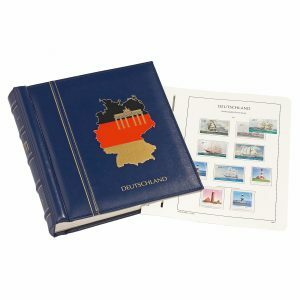 We offer a broad range of Leuchtturm albums complete with pre-printed album pages containing prints of all stamps issued. This gives you the advantage to spot quick and easy the missing pieces in your collection. LIGHTHOUSE printing is executed on safe, extra heavy paper stock, free of harmful wood fibres and acid free (ph-neutral). Every stamp illustration contains a pre-positioned SF-mount in the precise size of the stamps. 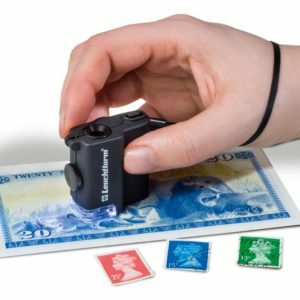 The SF mounts are manufactured of clear and safe polystyrene film with a seal at the bottom of the pouch to securely hold your stamp collection in place. Most of the Leuchtturm pre-printed stamp albums are available with mounts (Hingeless/SF) or without mounts (Normal). In a Leuchtturm album you insert your stamps into high quality films. This gives the collector a crystal-clear view at both sides of the stamps without taking them out from the pouches. This is a great advantage when you want to examine the condition of the stamps such as descriptions, the gum, expert’s marks, watermarks, and general condition. 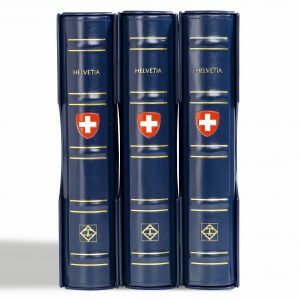 Leuchtturm is a market leader in collecting albums. With the special Leuchtturm albums and covers, you can store your collection a long time and keep your collectibles safe and in good condition. Leuchtturm stamp and coin albums are great value for money.